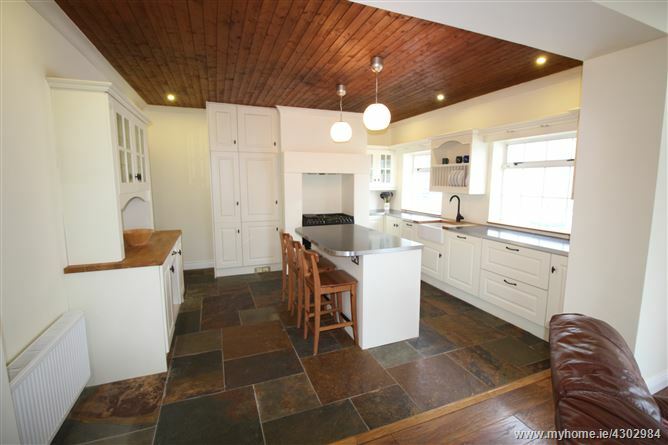 Move-In-Ready, fully updated spacious 4-bedroom home with large private garden & modernized garage. 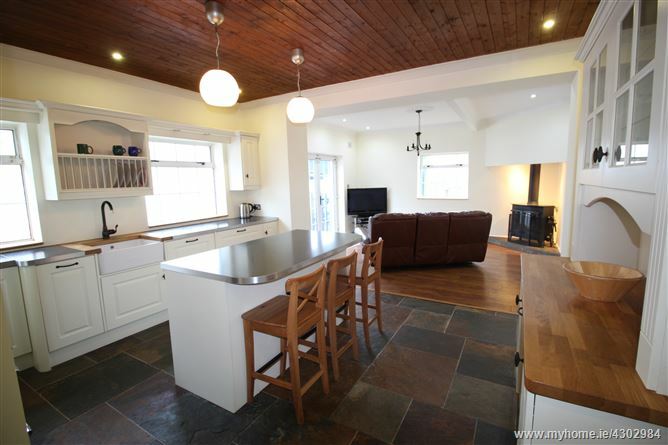 The kitchen / dining area is the warm heart of this fabulous property and offers a large open plan space with an abundance of kitchen units leading to a bright open family area with a feature boiler stove. 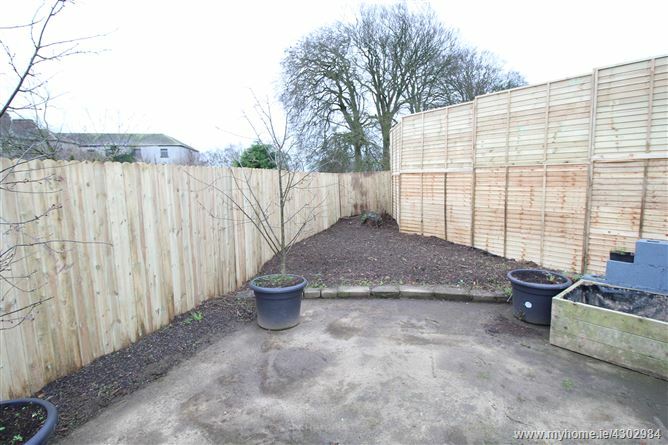 With all new appliances, a garage with electricity/plumbing and a garden full of perennial fruits & flowers this property is not to be missed. 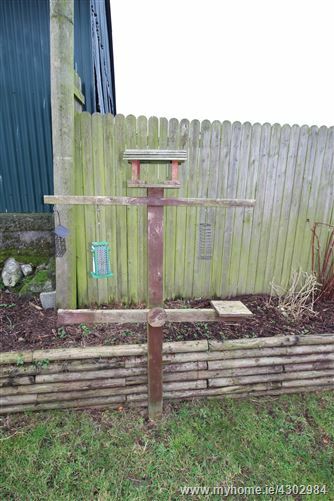 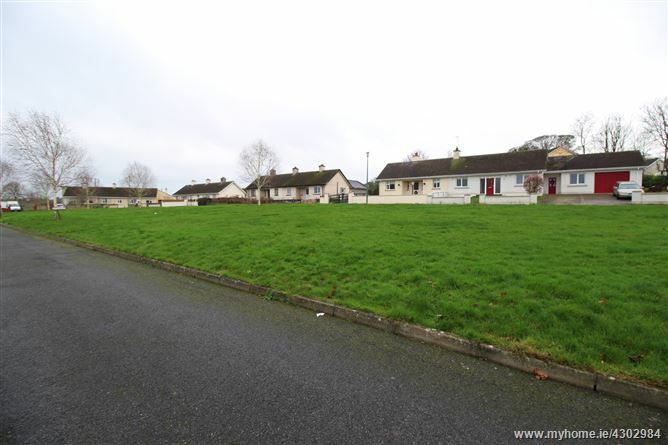 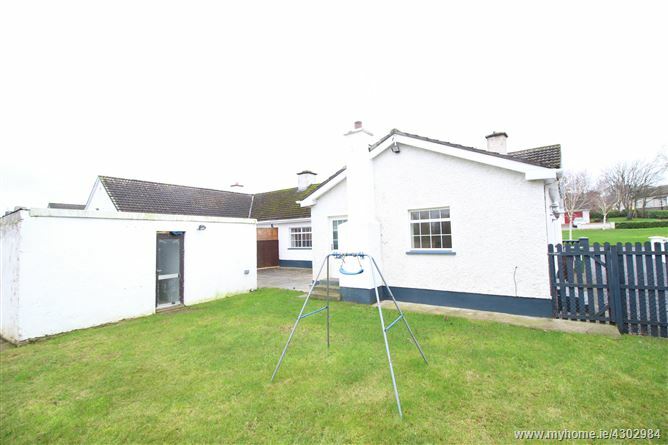 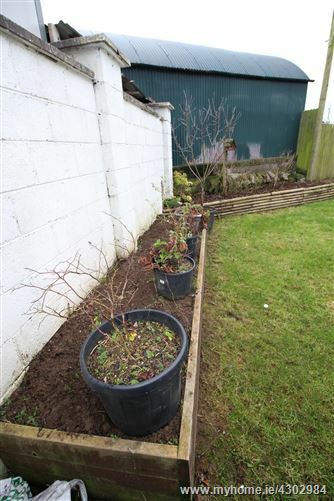 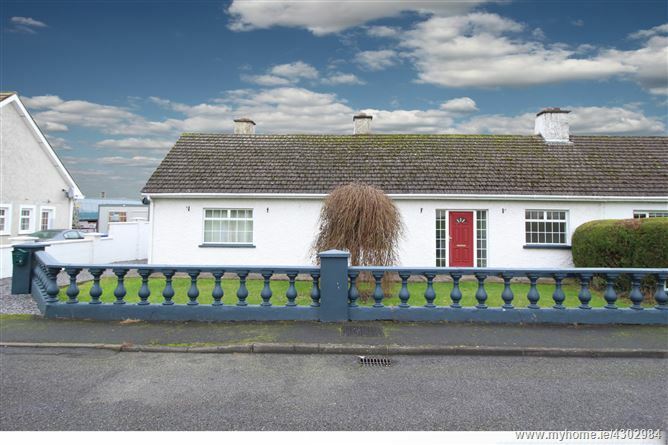 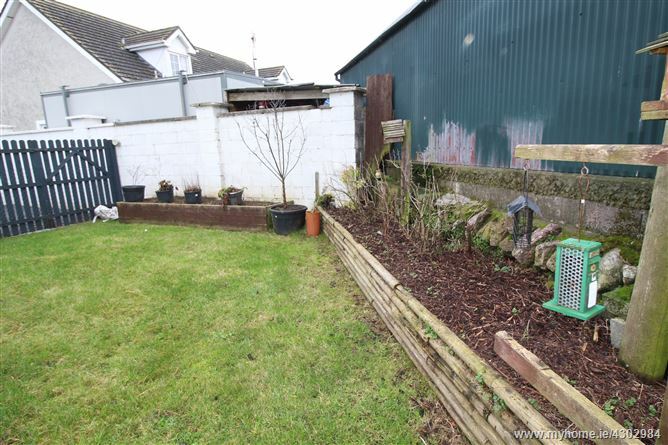 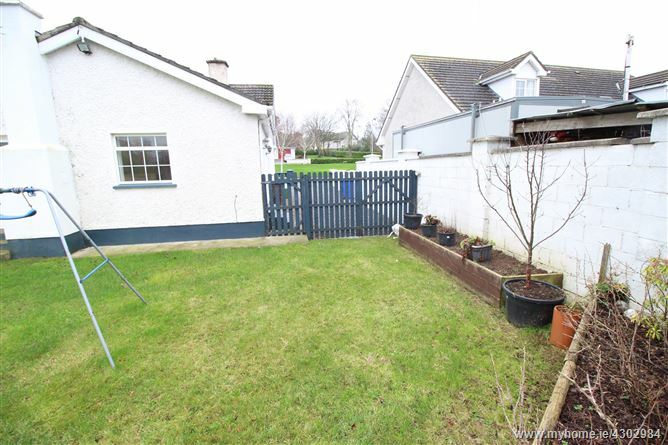 Walk to the local shops, school, pubs, post office, grand canal & more. 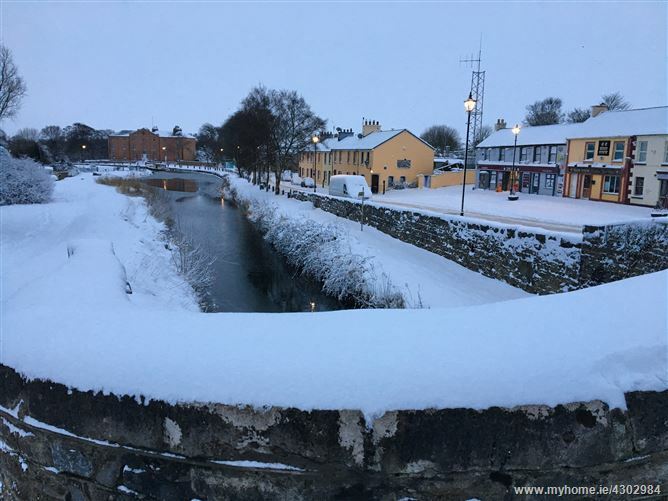 Robertstown is a short drive to either the N4 or N7 for easy commute into Dublin, it is also on the Dublin Bus Route with Naas & Newbridge only 10-12mins drive away! 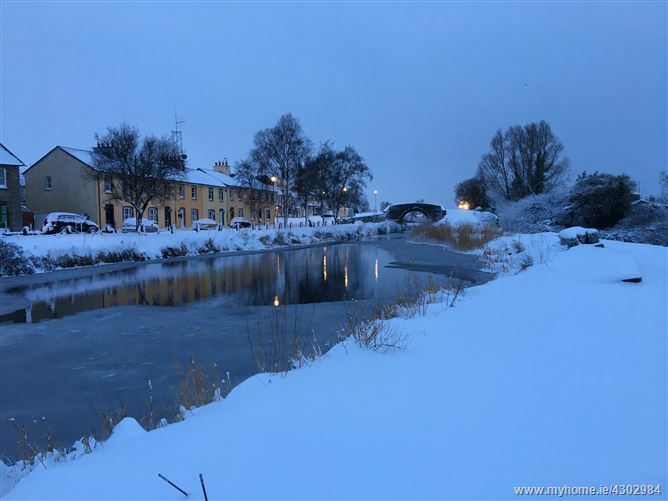 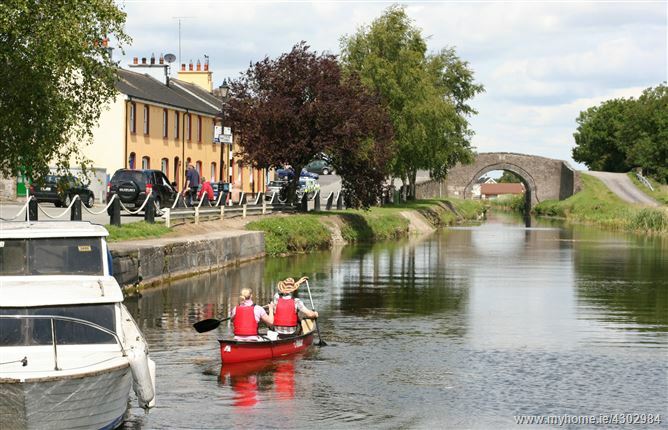 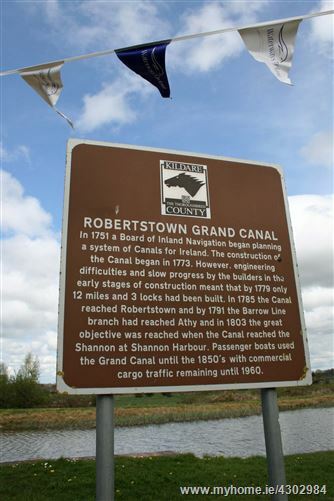 Robertstown is a planned stop on the new greenway canal being built between the Barrow & Grand Canal with an active & thriving community presence. 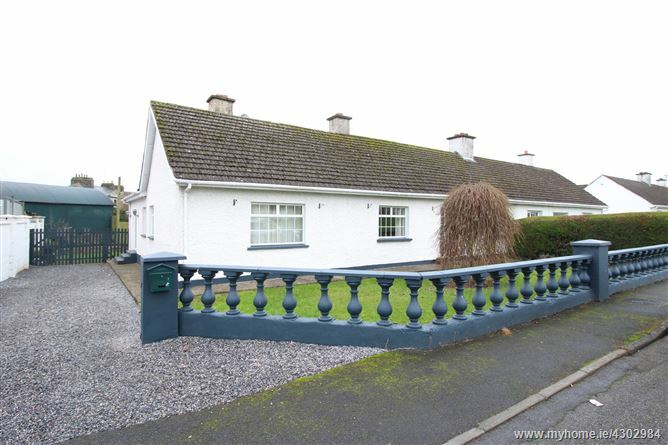 House & village needs to be seen to be fully appreciated. 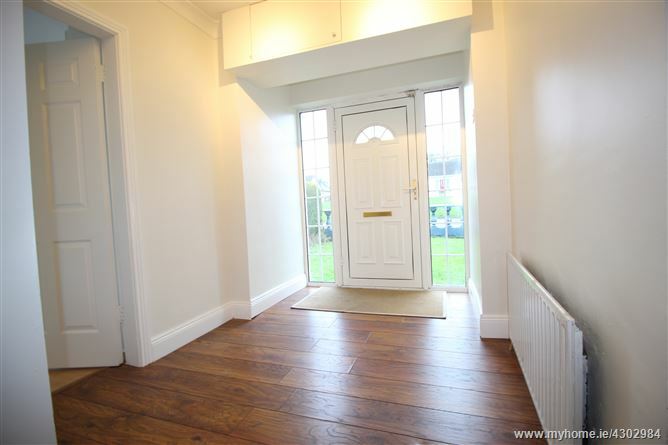 Hardwood flooring, bright open space. 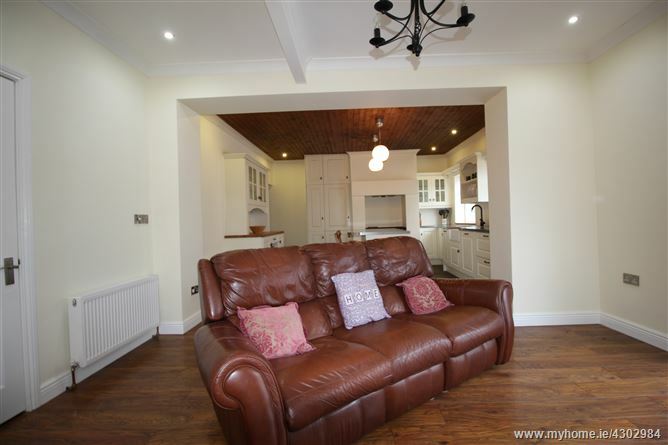 Open plan room with tiled floor to kitchen area and wood flooring to living area. 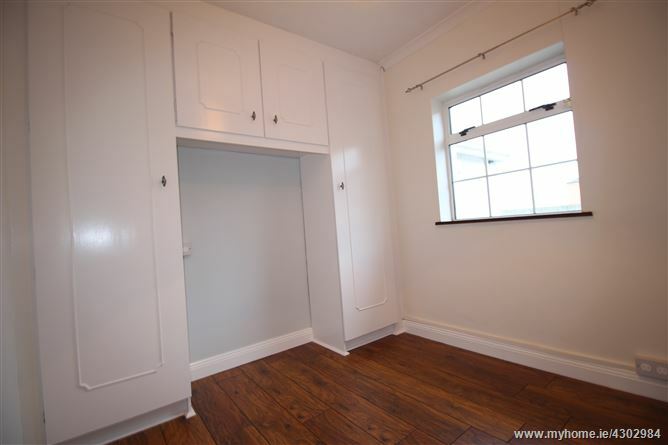 Kitchen features attractive fully fitted units, integrated A+ appliances, recessed & pendant lighting, coving and wood ceiling. 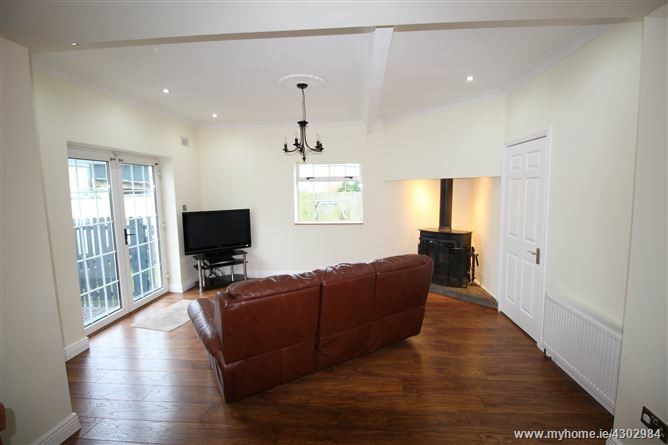 Family room features raised corner area with solid-fuel stove, coving, recessed lighting and ceiling rose with hanging light, and French doors to patio area. 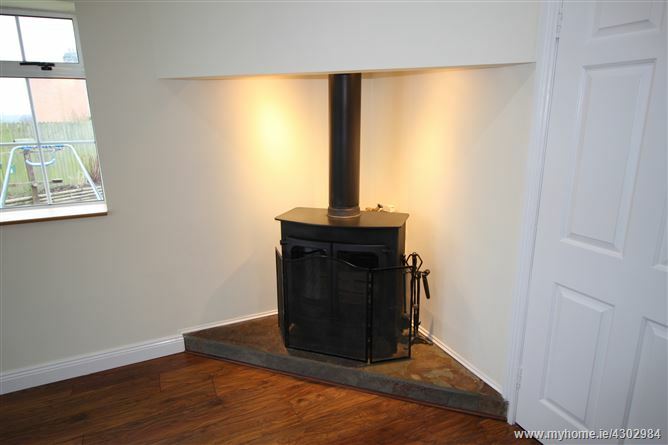 Tiled floor, plumbed, internal gas boiler, back door. 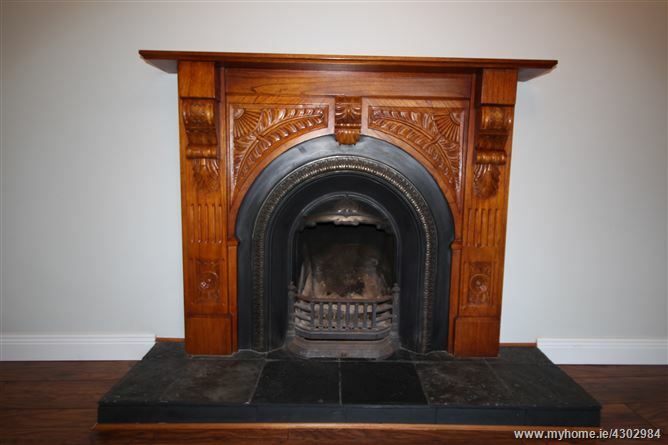 Hardwood flooring, feature cast-iron fireplace with ornate timber surround, coving, wall-lights. 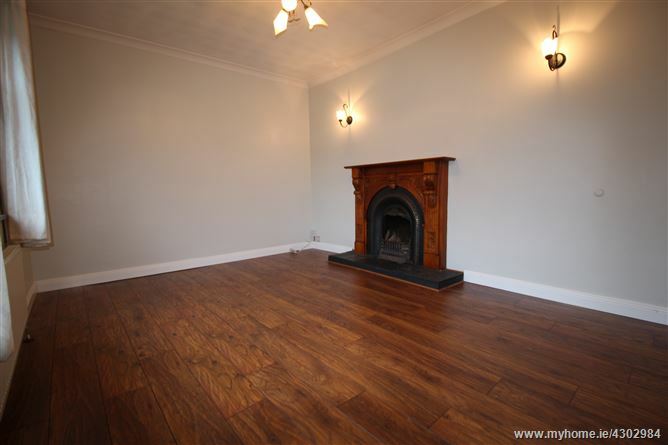 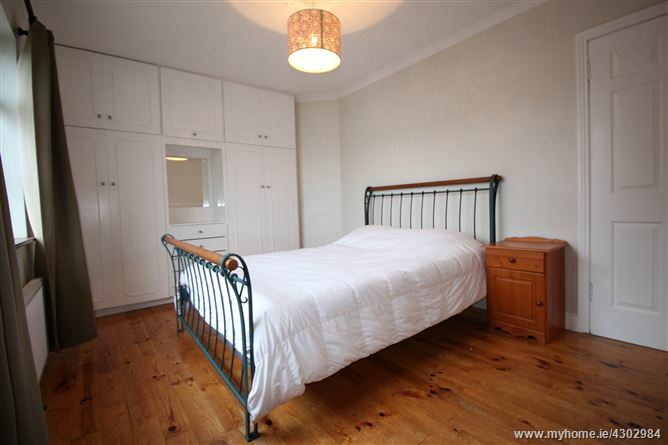 Hardwood flooring, built-in wardrobes, coving, ceiling rose, to rear of property. 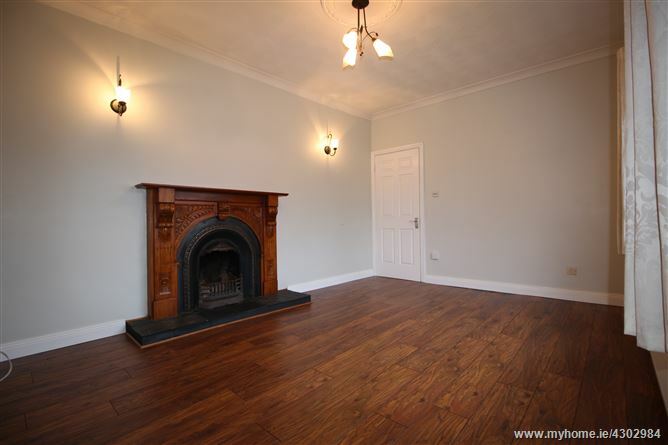 Hardwood flooring, built-in wardrobes, coving, to front of property. 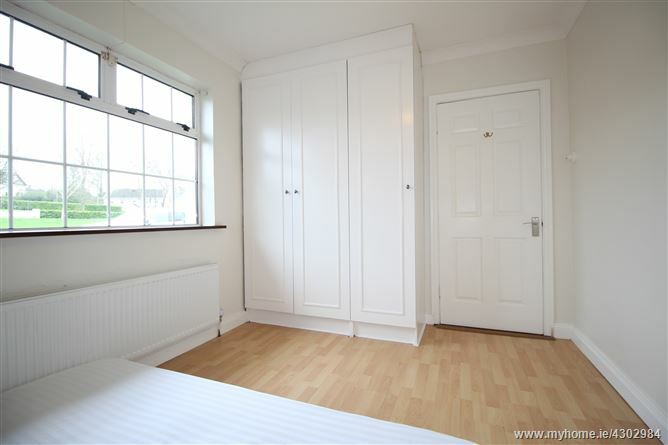 Laminate wood flooring, built-in wardrobes, coving, to front of property. 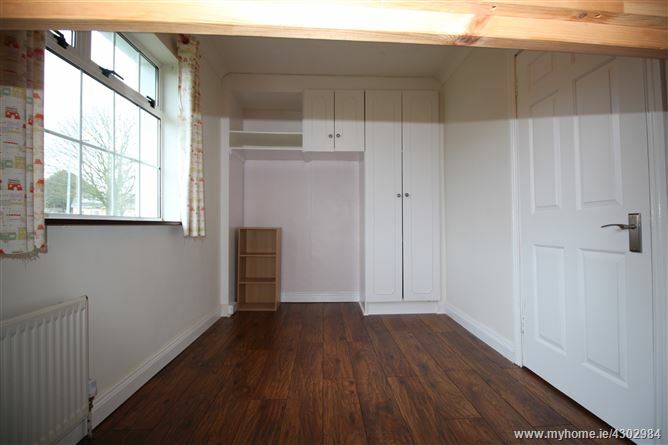 Hardwood flooring, built-in wardrobes, coving and ceiling rose, to rear of property. 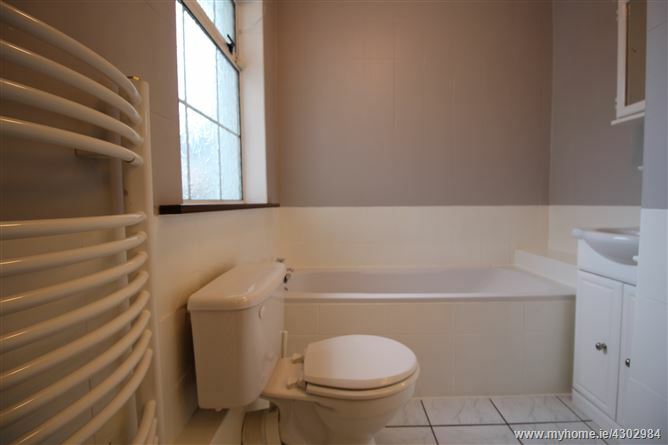 Tiled floor, WC, WHB with storage, bath, storage units, heated towel rail. 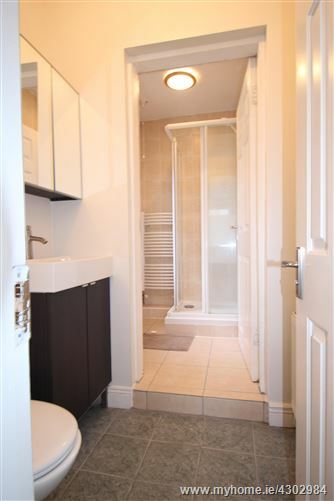 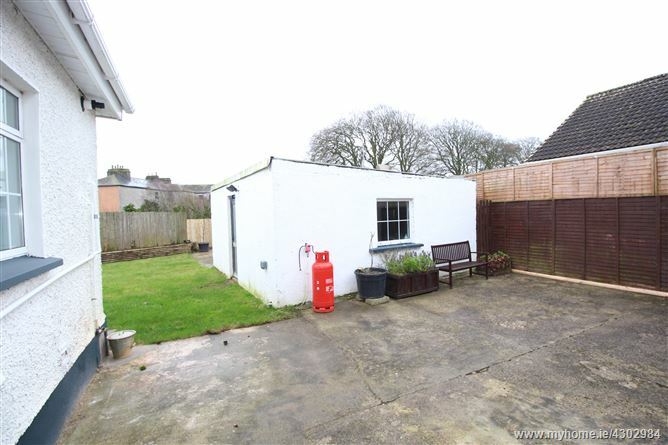 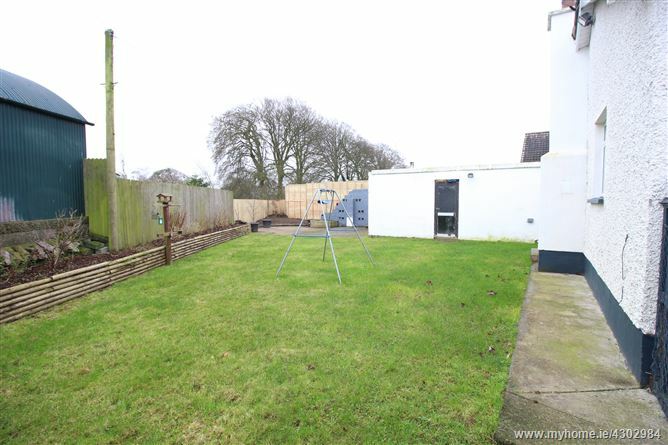 Fully tiled floor and walls, WC, WHB, walk-in shower unit, heated towel rail, storage cabinet with mirror. 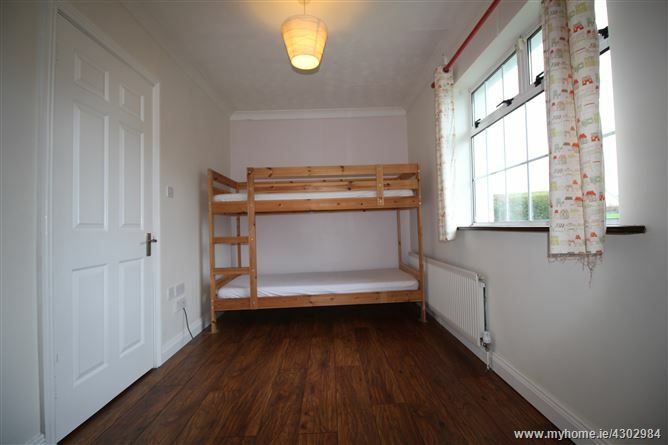 Sub-divided into 2 rooms, electricity and many sockets & lights, plumbing, ideal for many uses.